FREE Quotes from Local Furniture Fitters! Custom Furniture to Utilise Room Space! Fitted furniture can transform your home with custom built storage which saves space and give your rooms a clean, streamlined look. Fitted furniture makes the most of the available space and is ideal for awkward corners and small rooms. Companies and carpenters which make fitted furniture offer truly bespoke solutions for your home, perfectly suited for your lifestyle and specific storage needs. A professional carpenter or furniture company can visit your home to find out exactly what space is available and find out what exactly what you are looking for. They can then produce initial drawings for your approval, with final scale drawings to follow once the details are agreed. Fitted furniture is beyond the scope of all but the most skilled DIY enthusiasts, many DIY attempts end up in shoddy work that has to be replaced, so be prepared to commission a professional! Fitted wardrobes and cupboards can make an amazing difference to a room. Modern, clean lines will enhance the visual appeal while at the same time creating a surprising amount of storage. Today most house builders will install fitted furniture as standard practice in bedrooms and kitchens in new homes. But many older houses have alcoves and awkward shapes which often end up being wasted space as standard free standing furniture will simply not fit, but a wardrobe, desk, table or cupboard can be fitted perfectly thereby squaring off an awkward shaped room and making the most of any space. The downside to fitted furniture is of course the cost, it is usually much more expensive than flat-pack mass produced items from your local Ikea or DIY store. The price of fitted wardrobes will largely be determined by the size and the materials specified. But there is no need to spend a fortune with a large furniture design company, a decent local carpenter can make a straightforward frame and add doors to your specification with various types of wood available and prices to suit almost all budgets. 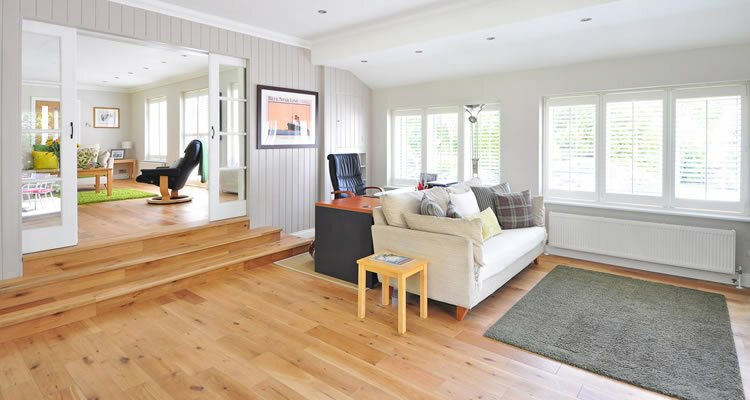 In terms of cost, MDF or pine are the cheapest materials with solid hardwoods being more expensive. The most popular type of fitted furniture request we see is to make one whole wall into fitted wardrobes. This can look extremely attractive and give the room a minimalist look with all clutter hidden behind the wardrobe doors. Depending on the size, materials and design, this type of project can cost anywhere between £500 and £10,000. As always it is best to find a carpenter of furniture company based on personal recommendations if possible, failing that the free quote service on this site will allow you to easily gather quotes from recommended carpenters near you so you can compare prices and choose the best quote. However you find them, always ask to see a portfolio of their work. If you feel confident about your own design abilities, you can show your design to a local carpenter who will be able to advise you. Independent furniture designer companies offer complete flexibility and will have their own skilled team to complete the works, whereas most carpenters will look to you for the design and specification. Local carpenters with the relevant skills and experience are often the best bet for fitted furniture, however they rarely have their own showrooms and many like to see a portfolio of their work first. So if hiring a carpenter, always ask to see examples of their previous work and speak to satisfied customers. A good carpenter will take pride in his or her work and will be more than happy to show you examples of their quality finished work.